This rustic evening invitation suite is perfect for a natural country wedding! Bohemian style is introduced through artwork of festoon lights and a floral bouquet in a vintage mason jar. A love heart on the glass adds romance to the natural botanical beauty. 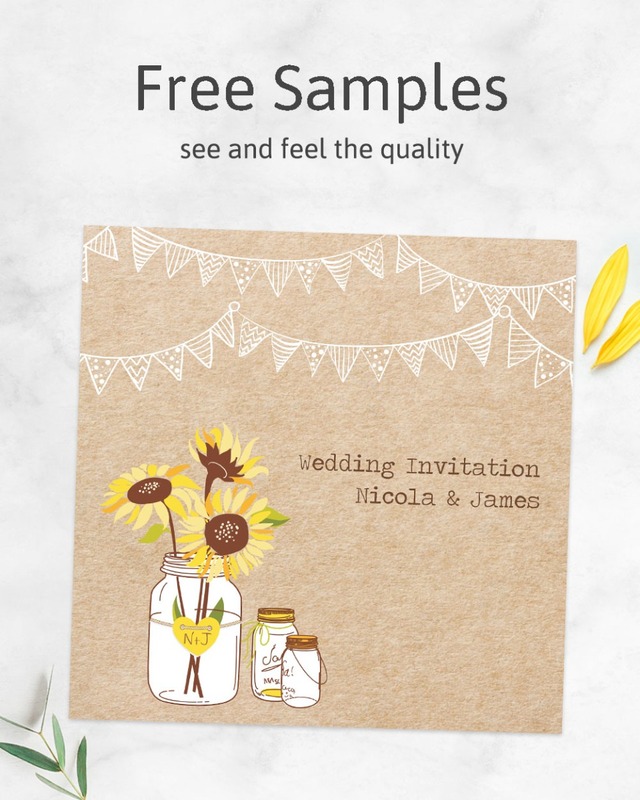 Perfect for woodland and forest settings thanks to the bark-like kraft paper effect, this wedding stationery is sure to impress with its coordinated look and twine string finishing flourish. Use an ink pen to complete it with your wording. ~ Evening Invitation with rounded corners, 125 x 178 mm. ~ Thick ivory Evening invitation envelope.